The project addresses the interaction between the misaligned rectilinear footprints of the existing house and its garden. 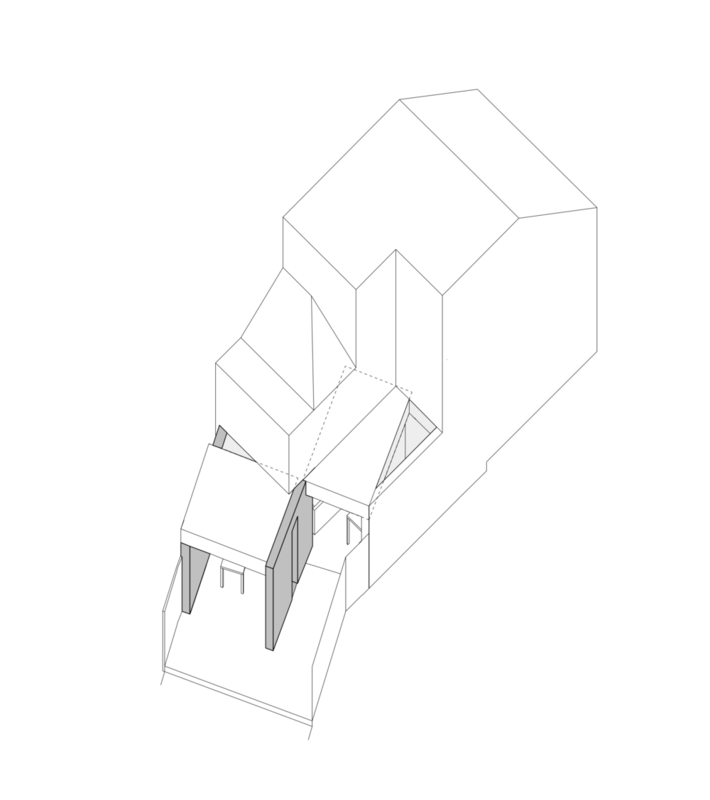 While also rectilinear, the new external form is oriented to the garden rather than the house, resulting in triangular gaps where it meets the original building. 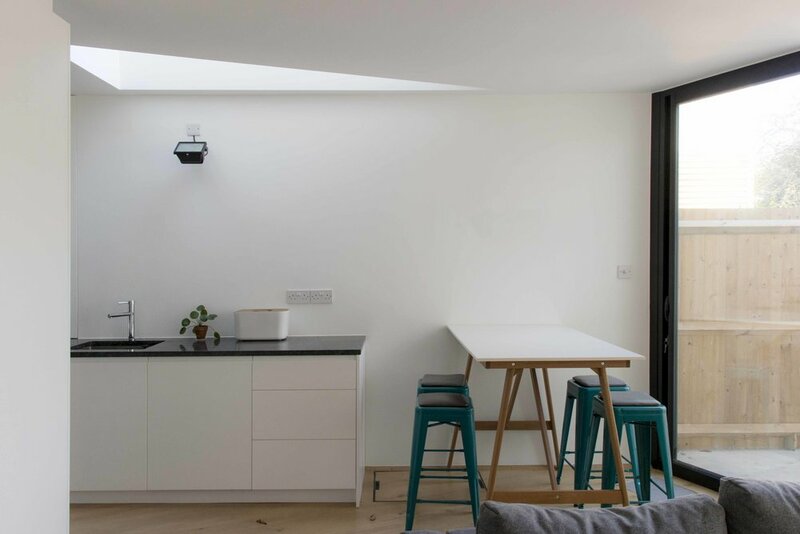 These gaps are glazed, and appear from the exterior as voids between the misaligned rectilinear buildings—while from the interior they are perceived as triangular roof-lights due to the continuity of the ceiling planes between new and old. Conversely, the setting out of the floorboards and paving continues the orientation of the garden and new architecture back into the existing building. Interior volumes are similarly oriented to one direction or the other. This variable dominance of one orientation over the other—between inside and outside, and one building surface and another—presents the new architecture as both a hybrid of the two, and an autonomous design.